Students from CityU School of Creative Media and Nanjing University Art Institute tracking the obstacles in mediated communication. During the first decades of digital computing and networking, the emphasis was put on the potential of the “information highways”. Everything was conceived on the model of transportation means, pipes rail, and roads. The positive vision, back then, was a simplistic interpretation of the notion of progress and speed in transaction and dialogue. During the last semester, students from CityU School of Creative Media MFA/MA have been working together with students from the Art Institute of Nanjing University on the topic of “Obstacles in communication”. They created works connected between both Universities. On December 20th to January 20th, they exhibit their work in the Hong-Kong Nanjing Tunnel, a virtual reality tunnel that allows dialogue, visual communication inside virtual setups. This new partnership between City University of Hong Kong and Nanjing University opens a new potential for long-term cultural exchanges and academic collaborations. 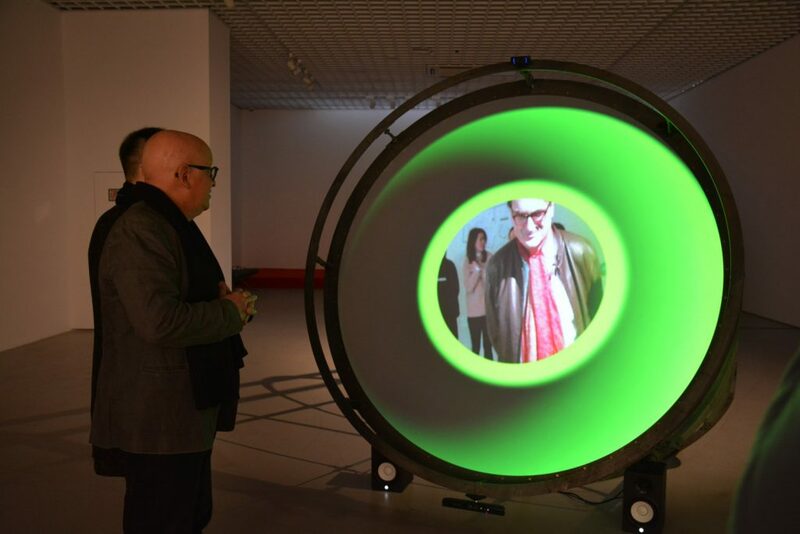 In Nanjing, This exhibition can be considered as the first media art exhibition in the City. Digging new tunnels between Nanjing and Hong Kong, Border Diggers draw our attention on the complexity of dialogue in the networked era. 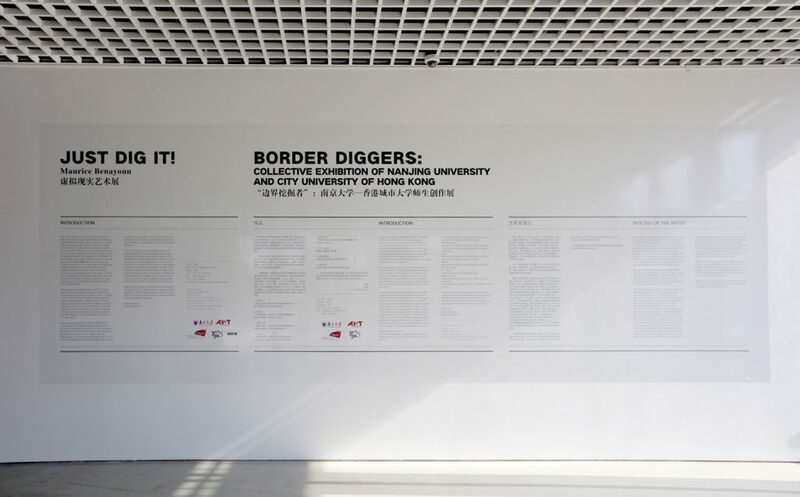 Borders Diggers is an innovative exhibition and collaboration between Art Institute of Nanjing University and School of Creative Media of City University of Hong Kong. Focusing on the topic of “Communication and Obstacle” the project is inspired by the series of work by Maurice Benayoun, including Tunnel under the Atlantic, VR installation, between the Pompidou Centre in Paris and the Museum of Contemporary Art in Montreal 1995, Colors Tunnel (VR interactive installation, 2016) and Borders Tunnel (VR interactive installation, 2016). These works were presented in the JUST DIG/IT! exhibition in 2016 by Osage Gallery, Hong Kong. They are now exhibited together with the projects by 16 students from NJU and 17 students from the MFA program of CityU who conducted their artistic practices in this fall semester. All of these works, created by students and faculties are presented at Nanjing University Museum of Fine Art as well as the CMC Gallery, the School of Creative Media of City University of Hong Kong as the final outcome of this annual collaboration from December 20 to January 20, 2017. 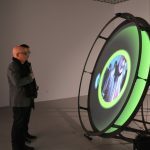 Recalculating… Are you Lost in the Future of Art?